I love the new Surf's Up paper and had a great time playing with it in Studio J. Don't worry though- we sell this as REAL paper so if you don't scrapbook digitally check out this link! 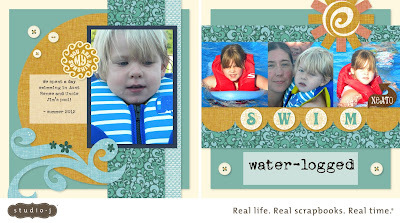 This is cute, I think I might have to order this paper....I see a lot of beach and pool time ahead of me this summer!